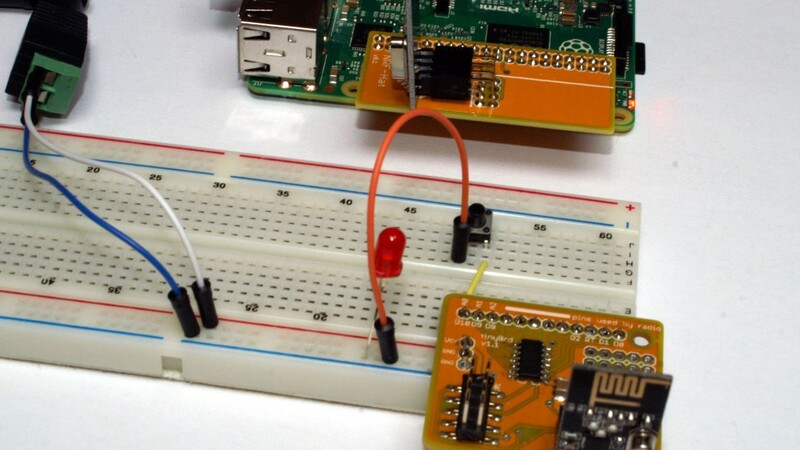 DIY project usually is prototyped using breadboard. Big mess of wires, and some chips between :) It is very convenient build it that way. Rewire connections? No problem, just switch some wires. How to create fast but solid DIY prototype? See this error, at first glance – WTF? This is very specific case, and can make You scratch head for several minutes. But true is very simple. In recent weeks we did a lot tests to our tinyBrd. This was due to new Nettigo tinyBrd Core (integration with Arduino IDE). With v1.1b release we have lowered current consumption even more. Now, in sleep mode tinyBrd with NRF24L01+ and DS18B20 takes only 4-5 µA (vs 9-10 µA on previous software). During sending data it takes 15 mA (vs 18 mA before). Our test case is sending data (temperature) read from DS18B20 to RPi every 30 seconds and tinyBrd is powered by singe coin battery (CR2032). How does it work? 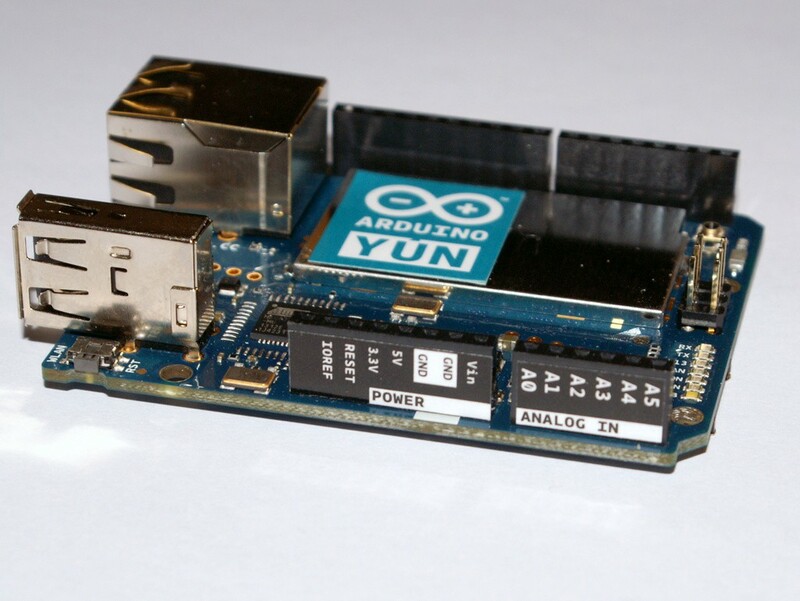 On Arduino.cc You can always find and download most recent Arduino YUN system image (firmware). What to do, if You need older one? This post is part of bigger series. You can get all tinyBrd related information here. Before You do any work with tinyBrd You have to install required libraries. We have prepared instruction how to do it. First You need to know, where You have to install our code. Locate folder with Your sketches – check Arduino IDE preferences (Ctr+,). In this example it is /home/seba/sketchbook15. In this folder create (if it doesen’t exists yet) folder hardware. Then get our Nettigo tinyBrd Core http://static.nettigo.pl/tinyBrdCore-current.zip and unzip it. Restart Arduino IDE and in menu Tools/Boards You should see new entries. Choose Attiny84 @ 8 Mhz. Now, open example File/Examples/01. Basics/Blink and change LED pin from 13 to 0. Upload example to tinyBrd (if You have USBAsp just connect it and upload from IDE as usual). You can test with multimeter or LED connected to D0 that Blink is working. We have prepared some examples, You can download it from http://static.nettigo.pl/tinyBrdExamples-v1.0.zip Unpack it to Your sketchbook folder. tinyBrd is meant to communicated with some central node. Raspberry PI is great for that! We have created Python library to get NRF24L01 going. 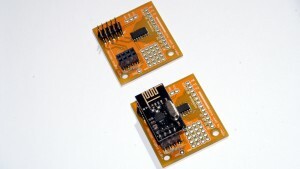 We assume You are using our NRF Hat to connect modem NRF24L01 to Your Raspberry. NRF uses SPI protocol, which is not enabled by default on Raspberry, run sudo raspi-config choose option Advanced config next A6 SPI and answer yes to next questions. Now reboot Raspberry, it is ready to work. At Nettigo we did a lot work with NRF24L01. 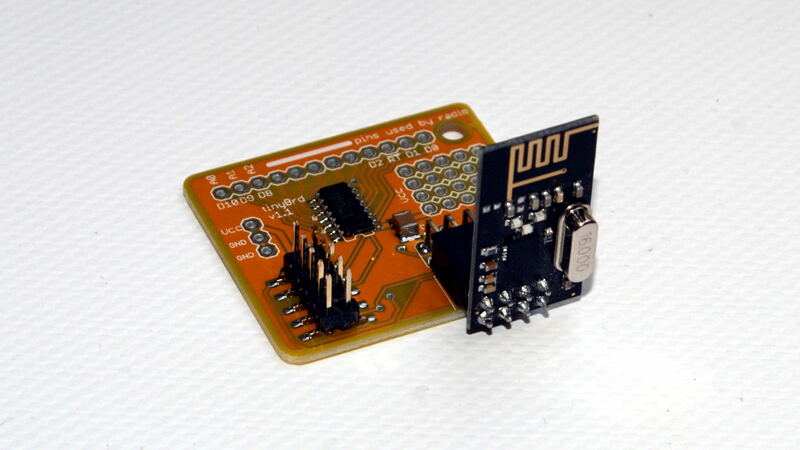 As a result we created small board, with ATtiny84 on board and connector for NRF24L01. This board is Arduino IDE compatible (You program it using Arduino IDE, most commands are ported), we have prepared some easy to use library for most important tasks: radio communication, power save modes and more. With easy to use software interface You can get in few minutes running remote sensor, sending data to central unit and in power save mode using only ~10µA! For example – DS18B20 sensor sending data to central unit each 30 seconds can work on two AA batteries few weeks. avrdude: ser_open(): can't open device "/dev/ttyACM0": Device or resource busy avrdude: ser_send(): write error: Bad file descriptor Problem uploading to board. 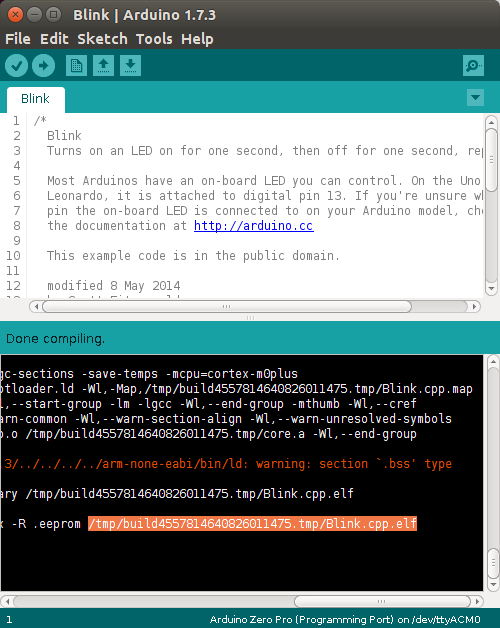 See http://www.arduino.cc/en/Guide/Troubleshooting#upload for suggestions. On Ubuntu (or other distro with ModemManager) ModemManager tries to connect to each new serial port. MM tries if this serial port is GSM modem. This is very convenient for most users, but it keeps serial port open, and Arduino IDE can not communicate with Arduino Leonardo. There is a list of ignored devices by ModemManager, but for now most Arduinos from Arduino.org are not included. Arduino is simple platform but empowers it’s users to do fantastic projects. People with experience in writing software for bigger computers can get strange feeling when they have no access to debugger. Debugger is tool for tracing program execution – You can examine/modify variables, going through code step by step and many more. In other words it let’s You know why program does not behave as expected. It is very useful tool, especially when You have to deal with more complex programs. But Arduino does not have such tool, only debugging method is to write messages via Serial class. 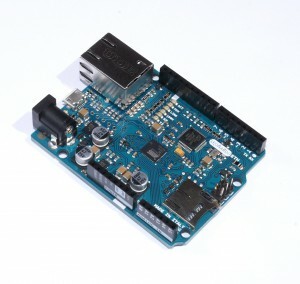 We have Arduino Zero Pro in our offer. This board has 32-bit ARM Cortex-M0 processor. New feature is interface for debugging sketches on board. 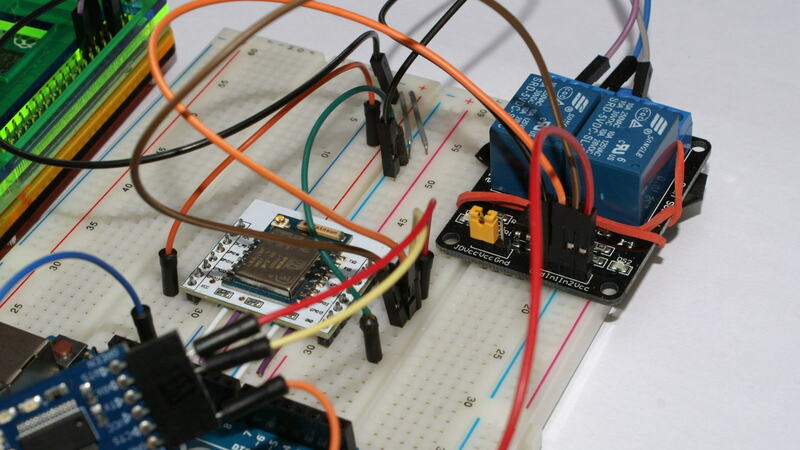 You can do it with JTAG/SWD adapter, or just connecting board to PROGRAMMING USB port. This article will show You how to access debugger feature with free and open tools. 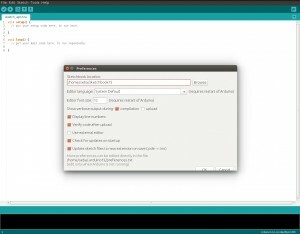 Test were done with computer running Linux, but all required software is bundled with Arduino IDE, so this tutorial should work also on Windows and MacOS without any significant changes. 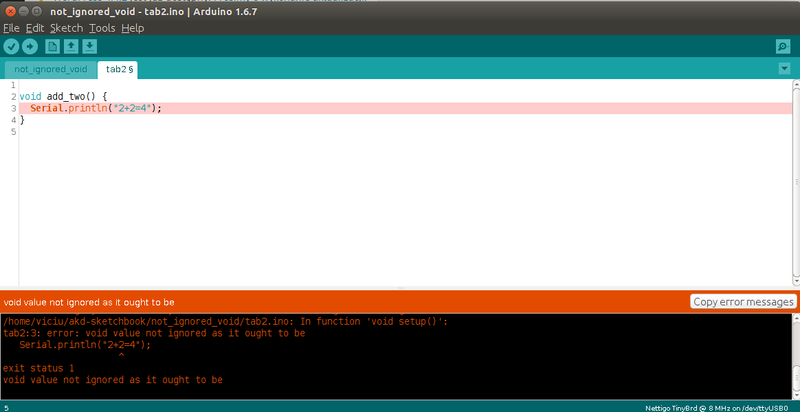 It is important to note, that we will need Arduino IDE from Arduino.org not from Arduino.cc. 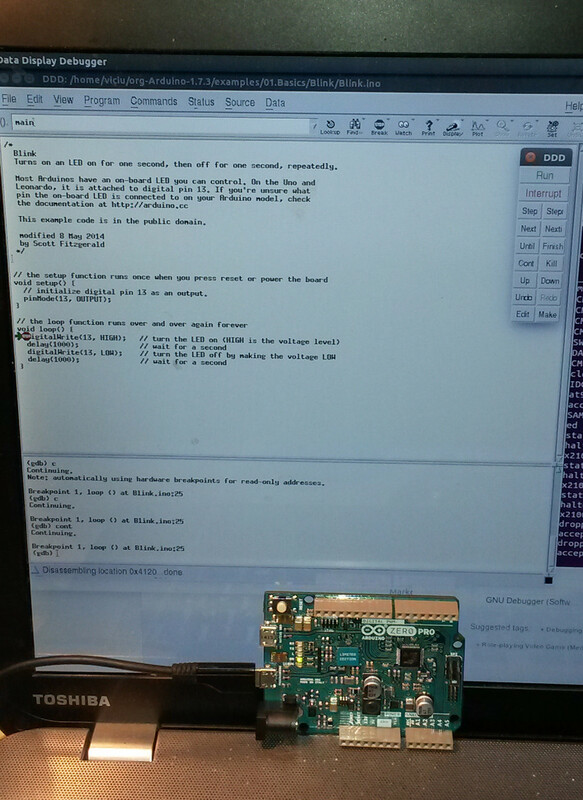 At this moment (Apr/May 2015) only IDE on Arduino.org has support for Arduino Zero Pro. 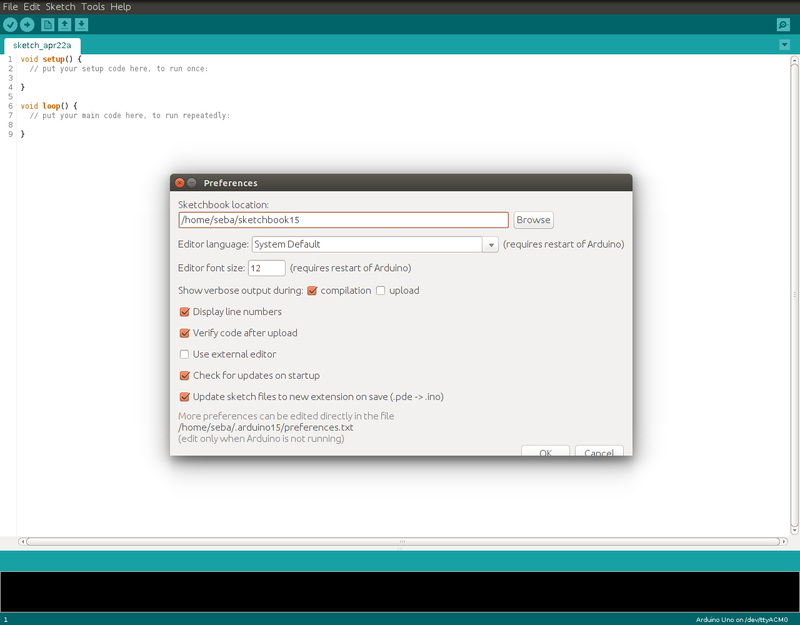 We need to download and install Arduino IDE 1.7.3 or newer. Next step is to increase number of messages given by IDE during sketch compilation. Open preferences (Ctrl+,) and near Show verbose option during mark compilation. 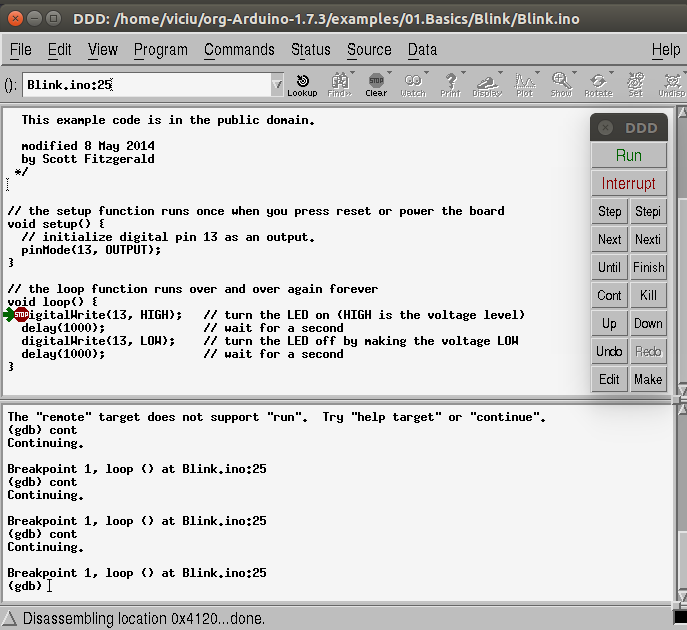 For our first debug target we will use Blink. Open it (menu Files/Examples/01. 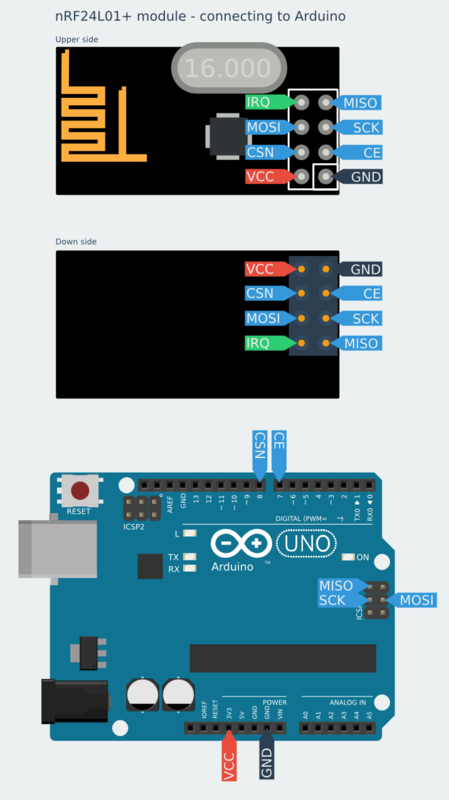 Basic/Blink), connect Arduino Zero to computer using PROGRAMMING port, in IDE select also Arduino Zero Pro (Programming) and upload sketch to board (Ctrl+U). ARM consortium has agreed on communication standard for Cortex-M0 processors. It is called CMSIS (more details about – link) and there is open software supporting this standard. Let me introduce You – OpenOCD. OpenOCD binary files are bundled with Arduino IDE and You don’t have to install anything more. OpenOCD is ready to work. It listens on ports 4444 and 3333. On first port there is telnet server and second one hosts GDB server. GDB is open source software for debugging programs. 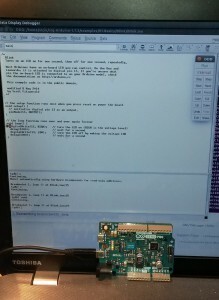 It is also bundled with Arduino IDE. It is important to have GDB with support for ARM architecture, so use binaries attached to Arduino IDE. In this article I show You only basic steps to get debugger features, for more detailed info about how to use GDB dig by Yourself. In future we may prepare more detailed info about GBD. Command file is used to supply path and filename to program, just insert here path copied from Arduino IDE few steps earlier. Command monitor reset halt sends to our board processor instruction to stop sketch execution, now LED on Arduino stops blinking. 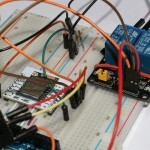 monitor reset init resets Arduino CPU to empty state, and it becomes ready to start over. l loop display loop function code (that is reason why we need tell GDB where are source files). Command b 25 sets breakpoint in line 25 of current source file. cont resumes program execution (well, actually it starts from beginning since we have issued monitor reset init ). This is reason why after cont, program gets to line 25 and before LED is lit execution is halted. Next c commands allow to run code until it returns to line 25 . This is simple example to illustrate new possibilities Arduino Zero Pro opens before You. People familiar with GDB are ready now to order Arduino Zero Pro and start exploring new ways to debug sketches. Others can see on this short video, debugging on Zero Pro is quite easy.